Dons Trust Board member Tim Hillyer is a co-opted member of the Board of Supporters Direct, and here summarises a recent publication by them aimed at improving clubs’ engagement with fans. 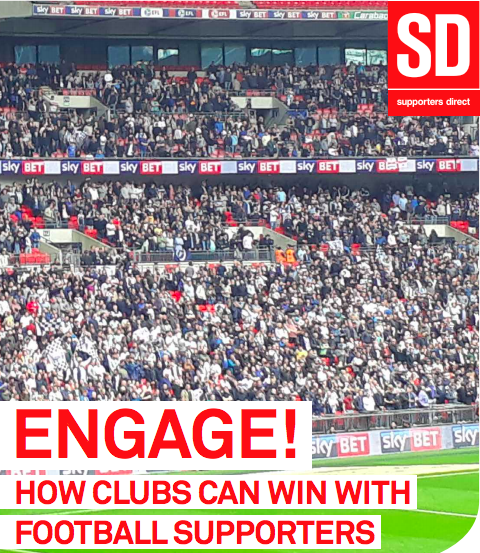 As part of their work to encourage the formation and sustainable operation of supporters’ trusts and fans-owned clubs in England and Wales, Supporters Direct produces publications that aim to be of benefit to both clubs and supporters. Recently, they issued Engage! How Clubs Can Win with Football Supporters, which identifies the different ways in which supporters engage with their clubs and vice versa, highlights good and bad practice, and provides practical, effective templates and tools to help implement best practice. Numerous case studies are described, both good and bad. 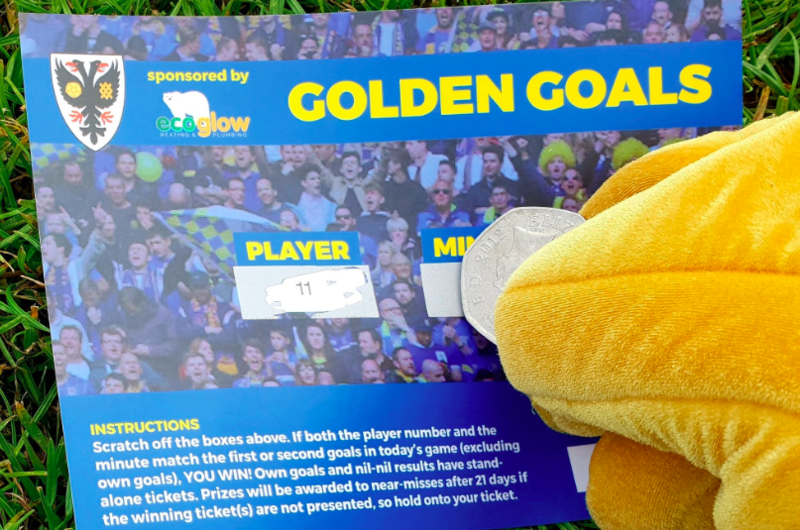 The first one happens to highlight the consultation that AFC Wimbledon held with Dons Trust members, who voted to increase ticket prices for the 2016/17 season. Supporters Direct is not being prescriptive: various options are set out, enabling each club and its diverse supporter groups to select the ideal solution(s) from a range of options. There is no single perfect plan for every eventuality, no “one size fits all” answer. Supporters can elect to incorporate as a trust or to operate as an independent supporters association; alternatively, a traditional supporters’ club may be more appropriate. Sometimes a fans’ forum may be preferred; at other clubs a fans’ parliament or supporter advisory board may work best. Every Premier League (EPL) and Football League (EFL) club now has a supporter liaison officer, whose role is to publicise fan-friendly advice, such as information on away travel, guides to stadiums (home and away), and local food and drink options. At AFC Wimbledon that role is filled by David Charles as part of his job. At most EPL clubs, especially those that participate in European tournaments, a full-time appointee, often from the fanbase, carries out this role. This will often entail preparatory meetings with opposite numbers, local safety officers, stewards and police. The culmination of this work behind the scenes is a concept known as structured dialogue. This is now compulsory for all EPL and EFL clubs, and from next season, for the National League as well. Clubs are obliged to meet with supporters several times a season in a meaningful way, in a properly chaired meeting with a formal agenda. That means owners and chief executives facing a representative group of supporters – which should not be made up of yes-men or friendly faces! Those clubs that have gone into the process with integrity seem to have benefited. Whatever the issues – ticket pricing, matchday arrangements, car parks, stewarding, catering, bars, and so on – talking directly to the bosses does work and does bring results. An example of failure to adopt this model was seen when Leeds United tried to introduce a new club crest, leading to much embarrassment. At AFC Wimbledon, these formal meetings are the Dons Trust SGMs and AGM. 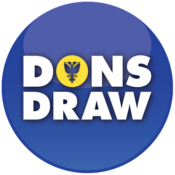 Of course, email correspondence with individual members of the Football Club Board or the Dons Trust Board is a useful channel of communication, as is the opportunity to talk to Dons Trust Board members on a match day at the Dons Trust cabin on Jack Goodchild Way. A shining recent example of best practice comes from the experience of Fulham Supporters Trust, which holds monthly meetings with senior executives at Craven Cottage. This has culminated in a memorandum of understanding between the parties, outlining how their relationship should progress. The EFL host quarterly meetings of selected fans’ representatives from three clubs in each division. Matt Breach and I alternate our attendance at these meetings, which Shaun Harvey, the chief executive of the EFL, usually attends. At the last of these meetings, both the Coventry City and Blackpool spokesmen were passionate in their pleas for better governance of the owners of EFL clubs. This is a very live topic for Supporters Direct, who are working to put a stop to the procession of “clubs in crisis”. This entry was posted in News and tagged programme page, supporters direct. Bookmark the permalink.